As the popular destination for auto repair in Milton, Rob Vanderheyden and his team of highly trained mechanics are focused on providing top quality service with open communication between each customer and the mechanic. Many customers are often worried about encountering issues along the road, not knowing how to deal with them. 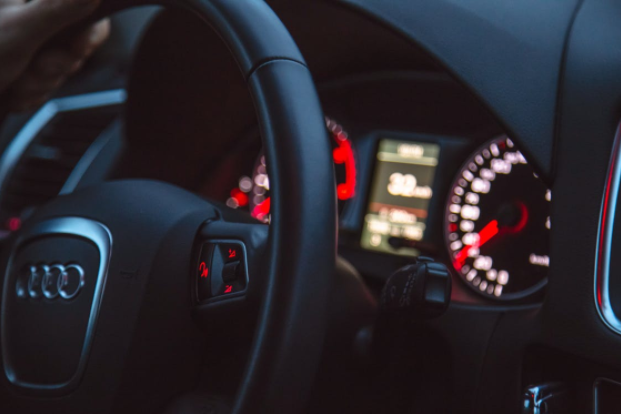 Dashboard lights are one unexpected issue that can pop up while driving, which leaves the driver unsure of the urgency. We always recommend checking your owner’s manual first before doing any work. Listed below are some of the commonly seen dashboard lights, and what you should do when encountering them. RED: Indicates a potentially serious problem/safety issues. YELLOW/ORANGE: Indicates something needs to be serviced/repaired. 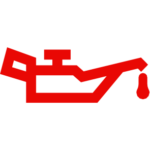 The oil warning light indicates that the engine oil pressure is low. Pull over at the safest location as soon as it is safe too. Try to choose a spot that is level. Locate the oil dipstick (check owner’s manual), pull the dipstick out and wipe dry. Put the dipstick back to the bottom, pulling it out slowly. l Hold the dipstick ¾ of the way down, look at the end and read the oil level. Ensure the oil level is between the minimum and maximum level. If you can’t see any oil, check it a 2nd time. If there is still no oil it is important to add oil before restarting the engine. 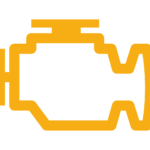 The check engine light means there is a problem with an emission device or an engine performance restriction. If it lights up solid, this means the sensor has reported an issue to the vehicle’s computer. If the light is flashing, this indicates a greater urgency, and there will likely be a noticeable difference with how the vehicle is feeling/acting. With a flashing check engine light, you should pull over immediately, turn the engine off and contact your master mechanic before driving. The TPMS (Tire Pressure Monitoring System) is warning you that you have an underinflated tire. Most new vehicles built after 2007 have TPMS, Sensors which are part of the valve stem report back to one of the vehicle’s computers the pressure in each tire. Some vehicles can display each individual tire’s pressure on the dash along with this light. If the light comes on, safely pull over and visually check the tires, listen for any hissing sounds. A tire pressure tool (see image on left) is something that Master Mechanic recommends every car owner have in their glove box. If one is unavailable, pull into the nearest gas station. For any auto issues and questions, visit Rob and his team for auto repair in Milton. They will ensure you are guided through your car’s maintenance and repair needs and will be transparent in their recommendations of what is absolutely necessary – and which repairs can wait. For honest and transparent service contact your local Master Mechanic today!